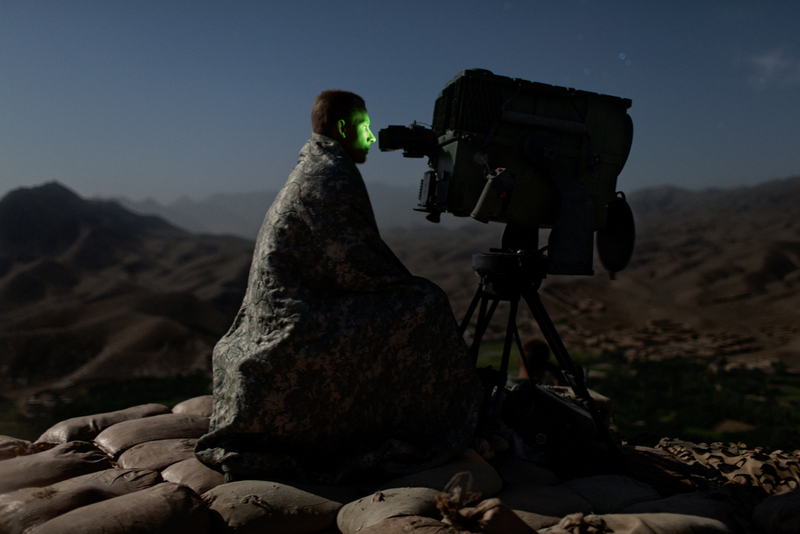 A U.S. Army soldier observes a road for insurgent activity in the Tangi Valley, Wardak Province, Afghanistan. 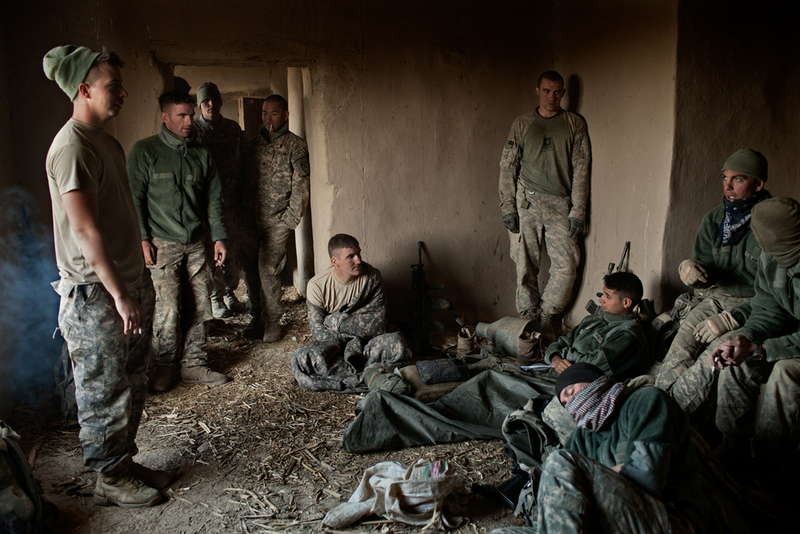 U.S. Army soldiers occupy an abandoned house during an operation in the Tangi Valley, Wardak Province, Afghanistan. 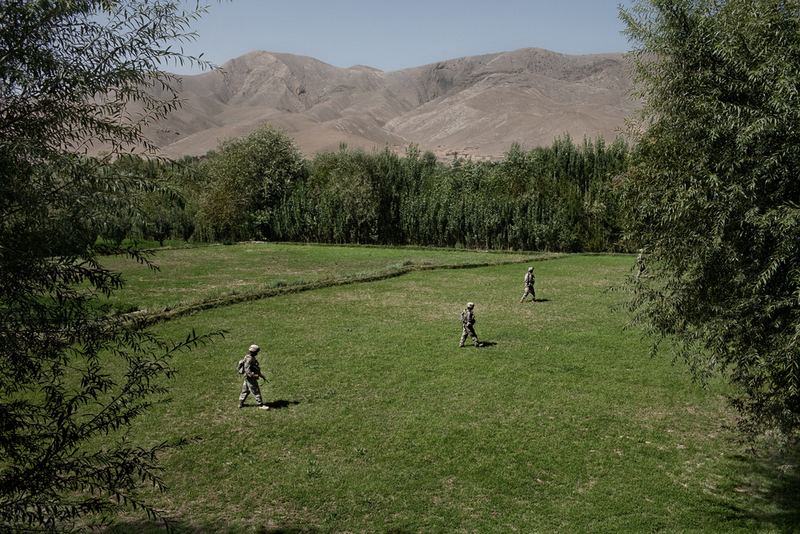 U.S. Army soldiers patrol in the Tangi Valley, Wardak Province, Afghanistan. U.S. Army Sergeant Cody Anderson during an operation in the Tangi Valley, Wardak Province, Afghanistan. Anderson died after returning from Afghanistan. 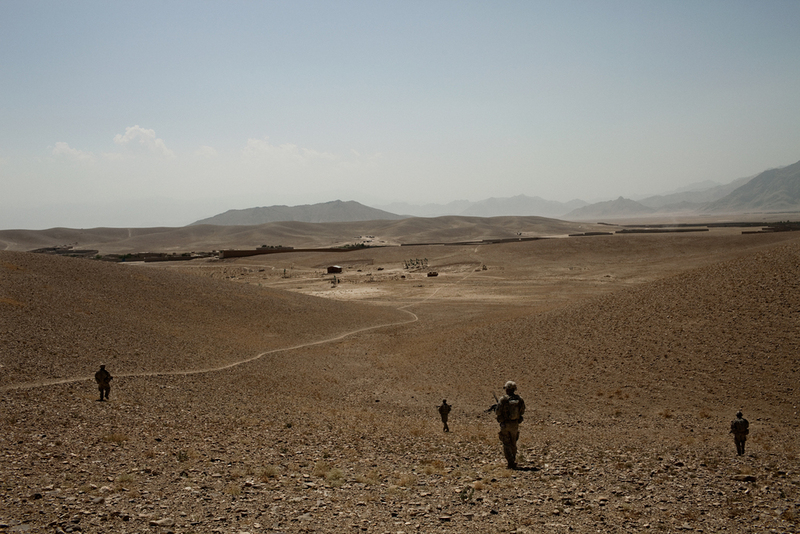 An Afghan man is searched by U.S. Army in the Tangi Valley, Wardak Province, Afghanistan. 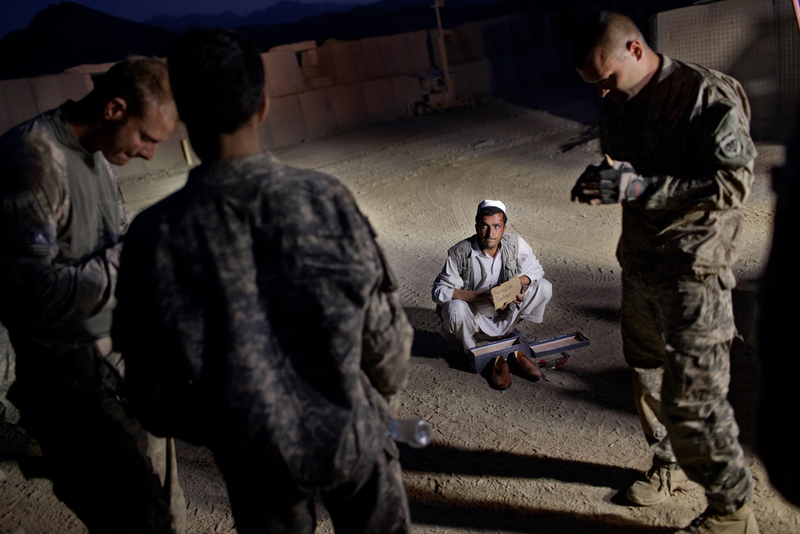 A U.S. Army soldier and Afghan interpreter question a local villager in the Tangi Valley, Wardak Province, Afghanistan. 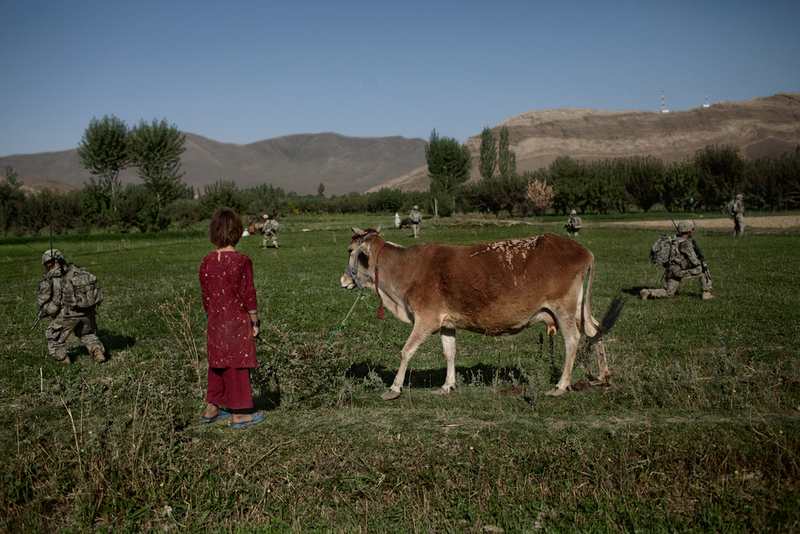 An Afghan girl watches U.S. Army soldiers rest in a field in the Tangi Valley, Wardak Province, Afghanistan. 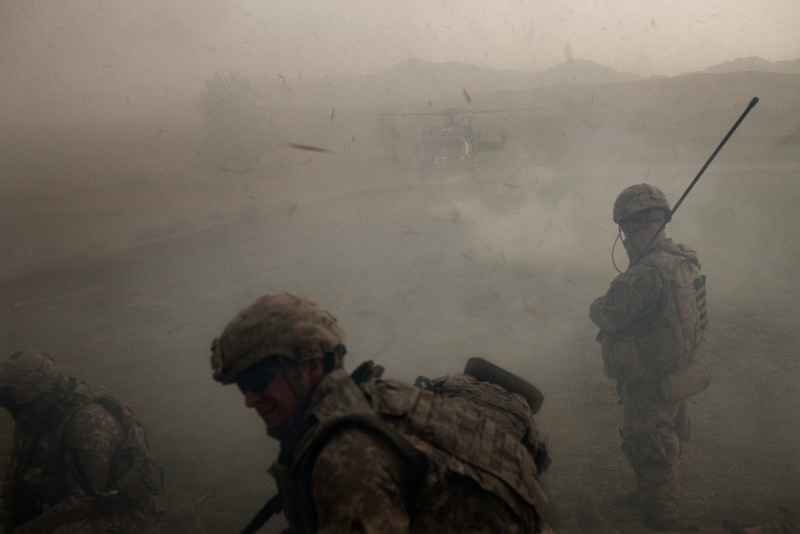 U.S. Army soldiers stand down at Combat Operations Post Tangi after it came under rocket attack in the Tangi Valley, Wardak Province, Afghanistan. 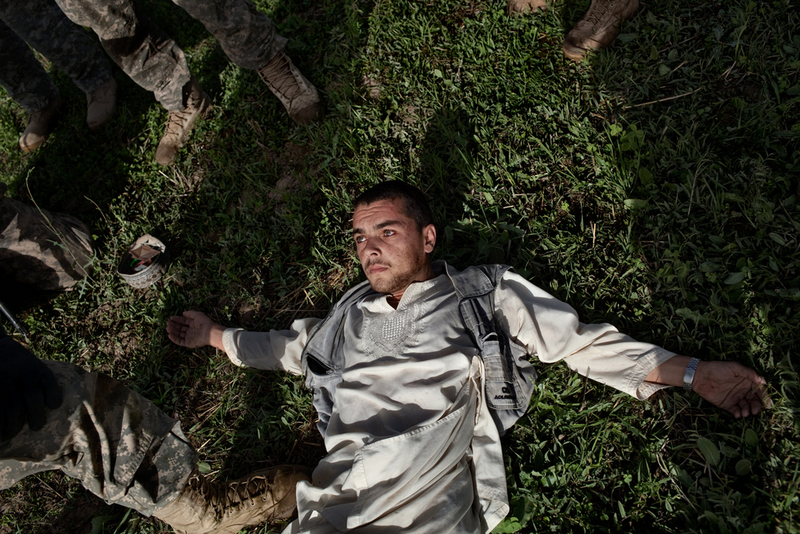 An Afghan man is detained by U.S. Army at Combat Operations Post Tangi, Wardak Province, Afghanistan. 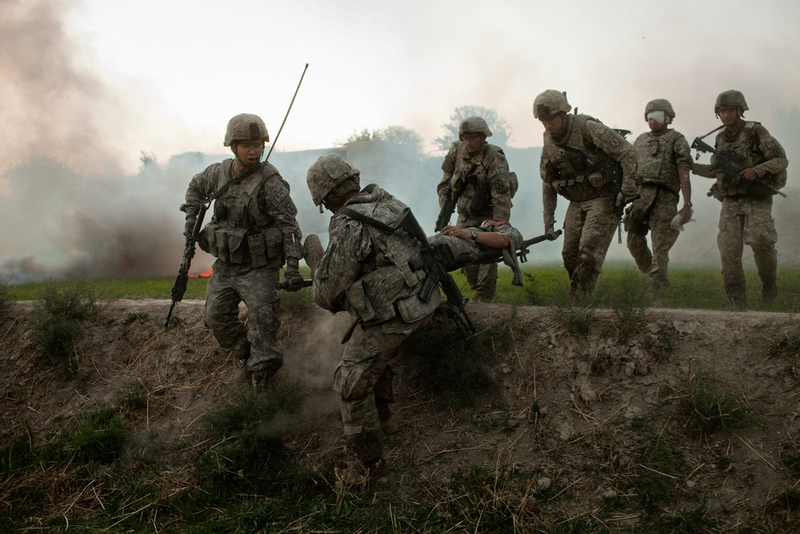 U.S. Army soldiers patrol in the Tangi Valley during an operation in Wardak Province, Afghanistan. 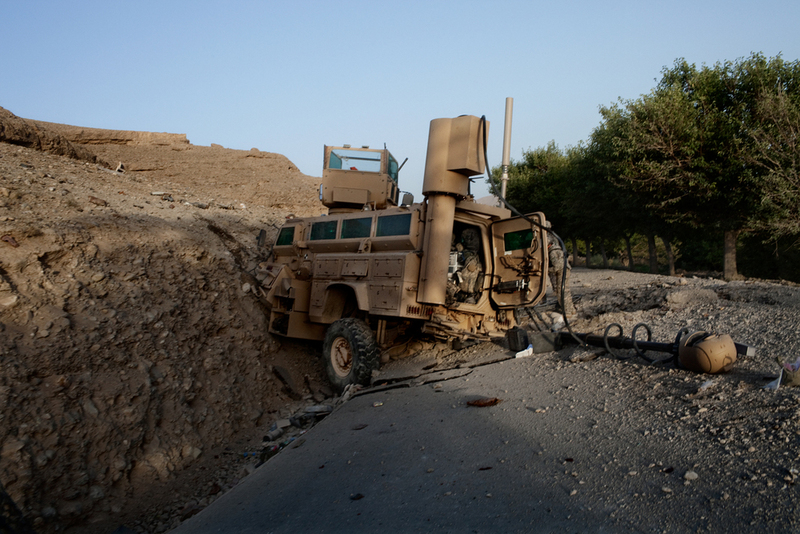 A Mine Resistant Ambush Protected Vehicle sits on the road after being attacked by an improvised explosive device in the Tangi Valley, Wardak Province, Afghanistan. U.S. Army Sergeant Phil Poitra sits with head injuries after an improvised explosive device attack on his vehicle in the Tangi Valley, Wardak Province, Afghanistan. U.S. Army soldiers clear a road after an improvised explosive device attack on a vehicle in the Tangi Valley, Wardak Province, Afghanistan. 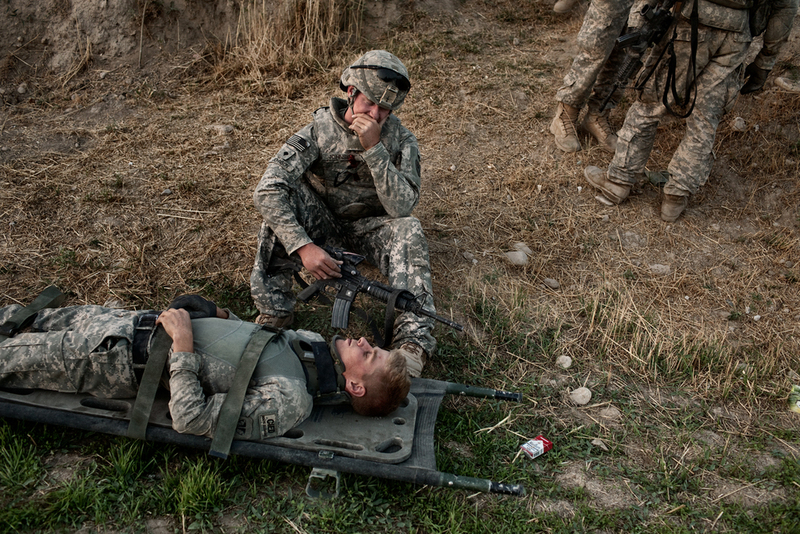 U.S. Army Specialist T.J. Fecteau lies on a stretcher after being concussed in an improvised explosive device attack on his vehicle in the Tangi Valley, Wardak Province, Afghanistan. Medical evacuation helicopters land to evacuate three U.S. Army soldiers injured in an improvised explosive device attack on their vehicle in the Tangi Valley, Wardak Province, Afghanistan. 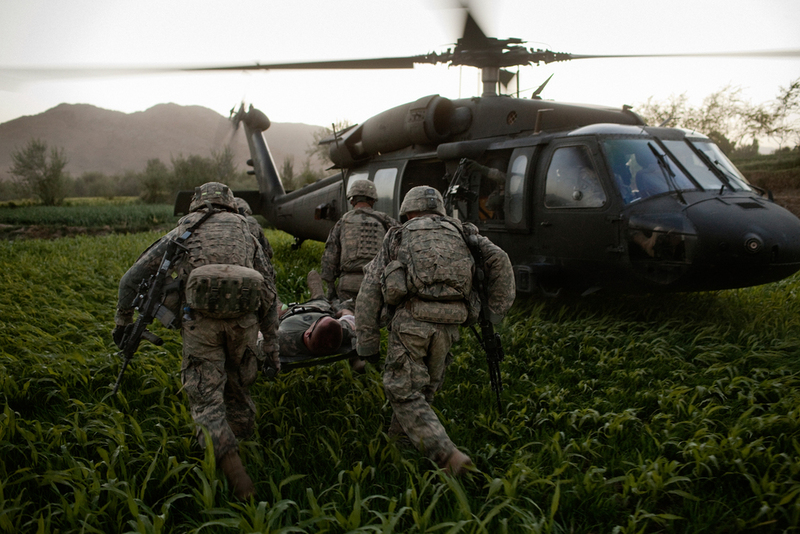 Sergeant Chet Millard is carried on a stretcher to a medical evacuation helicopter after he was injured in an improvised explosive device attack on his vehicle in the Tangi Valley, Wardak Province, Afghanistan. U.S Army Sergeant Chet Millard lies on a stretcher after being injured in an improvised explosive device attack on his vehicle in the Tangi Valley, Wardak Province, Afghanistan. 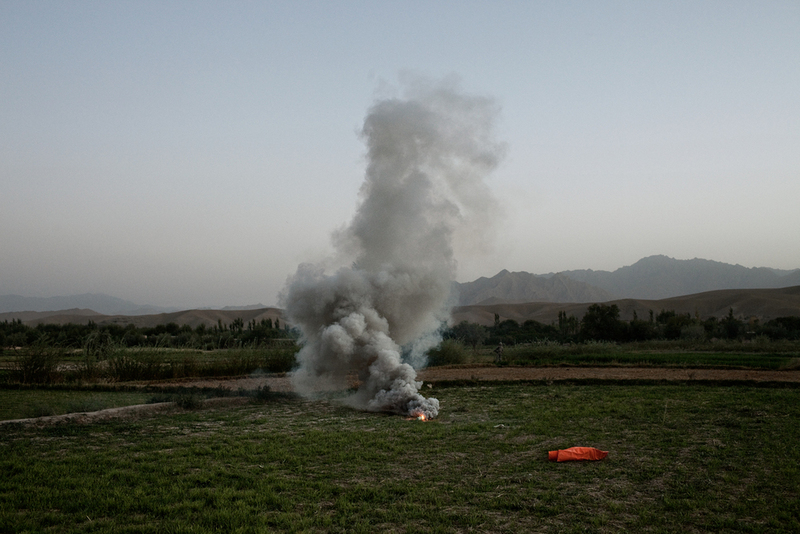 A flare marks a landing zone for medical evacuation helicopters after three U.S. Army Soldiers were injured in an improvised explosive device attack in the Tangi Valley, Wardak Province, Afghanistan. 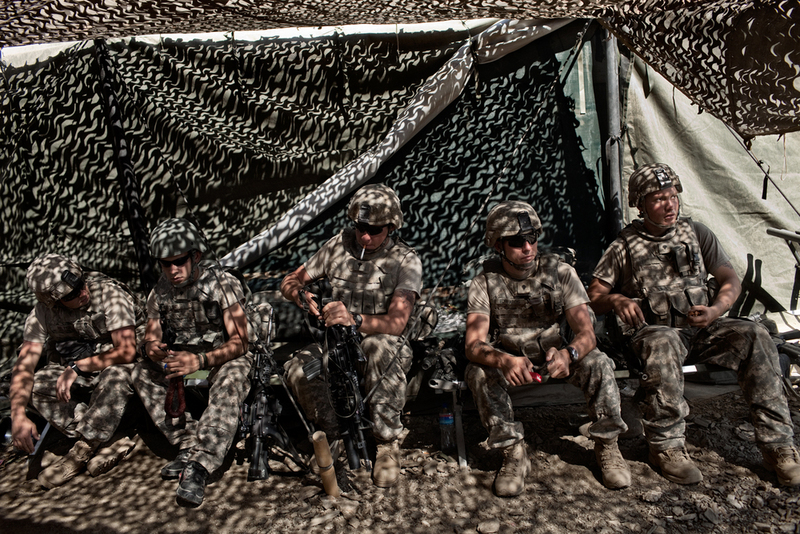 U.S. Army soldiers sleep at a temporary patrol base during an operation in the Tangi Valley, Wardak Province, Afghanistan. U.S. Army Specialist Codey Johnson watches on after fellow soldiers were injured in an improvised explosive device attack in the Tangi Valley, Wardak Province, Afghanistan.